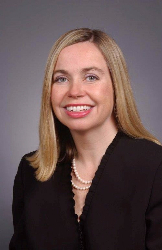 Haut joins Acadia Trust from Citizens Private Bank, the private banking division of Citizens Bank, where she served as senior vice president and market executive for the state of Massachusetts. Prior to that, she served as the senior vice president and division executive of the company’s wealth management arm. Her additional experience includes senior-level wealth management roles at FleetBoston and Bank Boston (now Bank of America). “I am honored to have the opportunity to work with the talented Acadia Trust team and support our clients in achieving their investment, planning and wealth management objectives,” said Haut. A Certified Financial Planner®, Haut received her bachelor’s degree from Colby College in Waterville, Maine. She and her husband Tom have two children, Catherine and Thomas. Acadia Trust, N.A. provides comprehensive wealth management, investment management and trust services to individual and institutional clients. From its offices in Portland, Bangor, and Ellsworth, Acadia Trust serves clients throughout Maine and New England. Acadia Trust is a federally chartered trust company and a subsidiary of Camden National Corporation. Headquartered in Camden, Maine, Camden National Corporation has $3.7 billion in assets and is the largest publicly traded bank holding company in Northern New England (NASDAQ: CAC).